Kryptonian Warrior: I.LOVE. POWER. RANGERS. With the Free Comic Book Day issue and the announcement of a potential movie franchise having been released today (DEAR GOD YES). I thought I'd make my feelings known. As stated in the title, well as the title, I. LOVE. POWER. RANGERS. I remember watching the very first episode the very first time it aired in the UK. I had all the toys, all the videos and would watch it everyday after school. Power Rangers is what ignited my love for superheroes and therefore made me a geek. 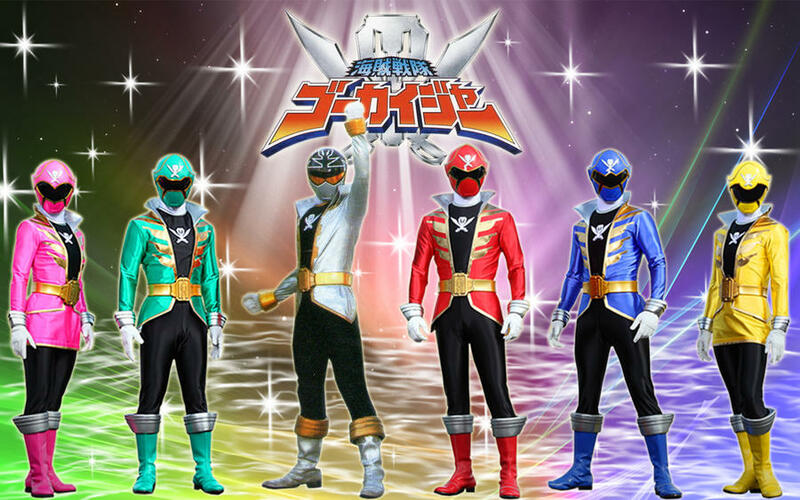 I'll admit I stopped watching halfway through Turbo, due to lack of the characters I loved and stupid stories, they got cooked into a pizza for god's sake, but I've got back into it again thanks funnily enough to Kaizoku Sentai Gokaiger. I won't get into Super Sentai vs. Power Rangers today, but yeah Sentai got me back into Power Rangers and I've loved going back over season's I didn't watch and watching the current ones. Saying that though there only 3 seasons I don't really like, again I'll talk about that later. It's been going for 21 years and here's hoping for many, many more. GO GO POWER RANGERS.